The sudden appearance of a filled glass is a completely baffling effect. 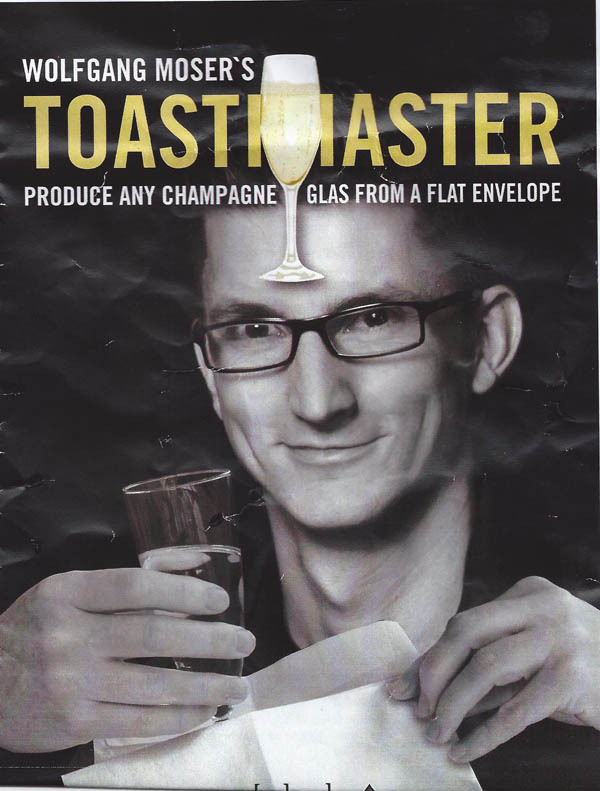 Toastmaster is the perfect opener allowing you to produce a filled glass of champagne from a flat envelope. This unique gimmick allows you free mobility for a wine glass, and is easily stolen from the envelope supplied ( or your own) – Or produce it from under a silk with the John Lovick technique described.